Pele Timbalão Evans B10EC2S Frosted. Material: 2 camadas de 7 mil. Diâmetro: 168. Pele Tarola Evans B13 Genera HD Coated Snare. Material: 2 camadas de 7 mil. Diâmetro: 168. 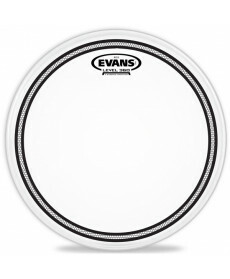 Evans™ Genera™ HD™ Snare heads feature two plies of film. Pele Tarola Evans B13 Genera HD Dry. Material: 2 camadas de 7 mil. Diâmetro: 168. Precision-drilled dry vents around the perimeter of head reduce overtones and control sustain. Pele Tarola Evans B13DRY Genera Dry. Material: 2 camadas de 7 mil. Diâmetro: 168. Evans™ Genera™ Dry snare heads feature a single ply of 10mil film in combination with a 2mil overtone control ring on the underside that "floats" with the head, eliminating excessive overtones and controlling sustain. Pele Tarola Evans B14 Genera HD Coated Snare. Material: 2 camadas de 7 mil. Diâmetro: 168. Evans™ Genera™ HD™ Snare heads feature two plies of film. Pele Tarola Evans B14 Genera HD Dry. Material: 2 camadas de 7 mil. Diâmetro: 168. Precision-drilled dry vents around the perimeter of head reduce overtones and control sustain. Pele Timbalão Evans B14EC2S Frosted Tom Batter. Material: 2 camadas de 7 mil. Diâmetro: 168. Evans™ EC2™ series features two plies of 7mil film with optimized attack, tone, length of sustain and ease of tuning for each size head. Pele Timbalão Evans B16EC2S Frosted Tom Batter. Material: 2 camadas de 7 mil. Diâmetro: 168. 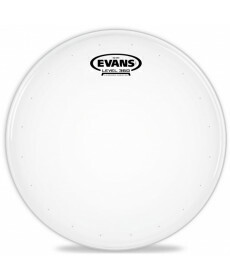 Evans™ EC2™ series features two plies of 7mil film with optimized attack, tone, length of sustain and ease of tuning for each size head.